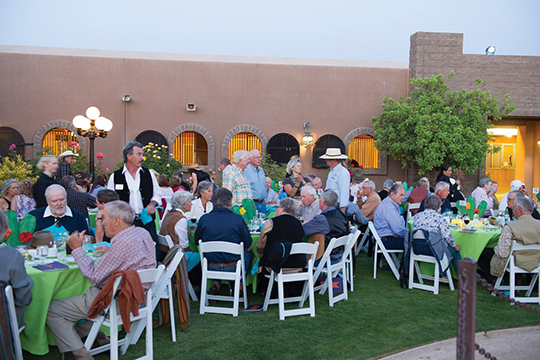 CAVE CREEK/CAREFREE/SCOTTSDALE – Guests to this year’s Sonoran Stars event to benefit Desert Foothills Land Trust will be treated to a fabulous evening on Saturday, April 23. The non-profit organization, which works to protect the beautiful landscape of our fragile Sonoran Desert, will hold the event at the elegant Los Cedros USA equestrian facility at 8700 E. Black Mountain Road in north Scottsdale. A gourmet dinner by Creations in Cuisine chef Tony Rea in the lovely Los Cedros courtyard is a highlight of Sonoran Stars. The Land Trust’s conservation efforts play a vital role in protecting the Sonoran Desert landscape that supports our community and businesses. “We simply cannot accomplish our important mission without the generous support of Sonoran Stars sponsors, guests and other donors,” said Perillo. Guests at Sonoran Stars will enjoy the wonderful Moroccan style of Los Cedros USA in Scottsdale. 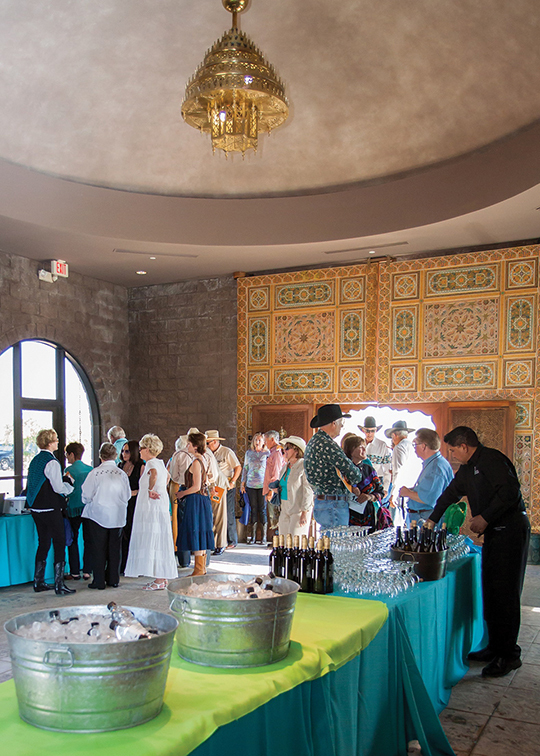 Sonoran Stars will begin at 5 p.m. with a cocktail hour featuring an open bar and appetizers, as well as visits with costumed riders and horses in the lovely Los Cedros stables. Guests will also have the opportunity to purchase “mystery” bags – a raffle that might result in winning a gift card to a local restaurant, a bottle of wine, fabulous jewelry or an exciting trip! Guests will then enjoy a wonderful meal prepared by well-known Chef Tony Rea. 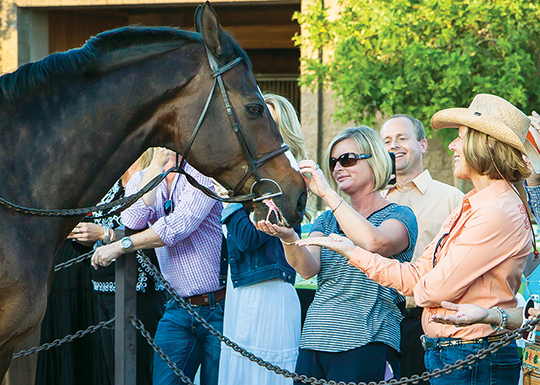 Guests at Sonoran Stars interact with the horses – the stars of the evening at Los Cedros USA in Scottsdale. As dinner winds down, auctioneer Brett Higgins will conduct a fast-paced live auction that will include a number of unique items and experiences. The event will also feature a wonderful new video celebrating the Land Trust’s conservation work, as well as the release of a rehabilitated owl by Wild At Heart. Throughout the evening, guests can stroll among Los Cedros’ tranquil grounds and explore the horse stables, home to magnificent horses from a number of breeds. Tickets to “Sonoran Stars” are $250 per person. Sponsor tables for 10 guests and premium sponsor packages are available. Guests are encouraged to dress in casual or Western attire and to anticipate cool evening temperatures. Valet parking will be available onsite. To reserve tickets, visit www.dflt.org or call (480) 488-6131.